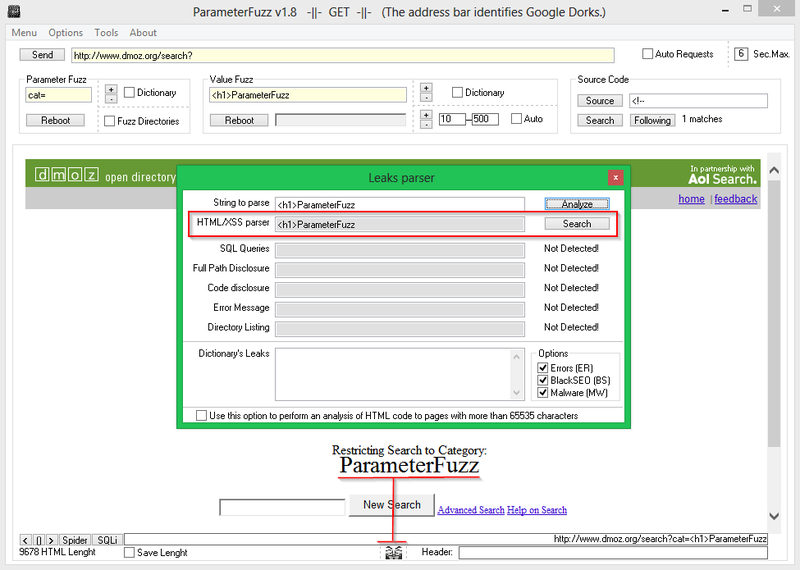 ParameterFuzz is a tool to check the level of fortification in web applications, try to cover the field more exploited by hackers, as the majority of known attacks are based on exploiting poorly filtered parameters. Just as SQL injection, Cross Site Scripting or RFI among others. This tool is designed to perform security audits manually, however it is possible to automate the audit process.